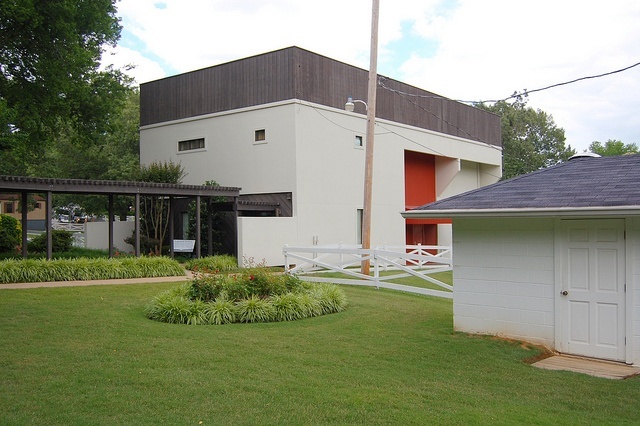 In 1975, Elvis had a racquetball court built on the Graceland grounds. Sitting right beside the house and with a covered walkway. Elvis enjoyed playing racquetball in his leisure time. 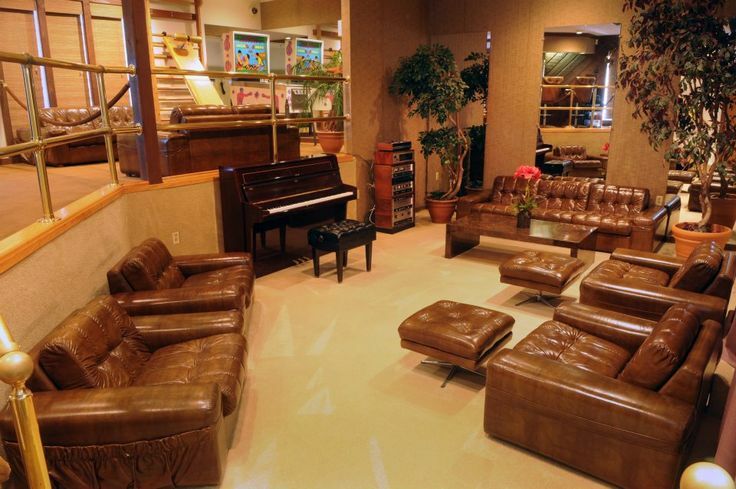 In addition to the court, he also built a sitting area with leather couches, a bar and a piano. There was also a few gym pieces in that area. 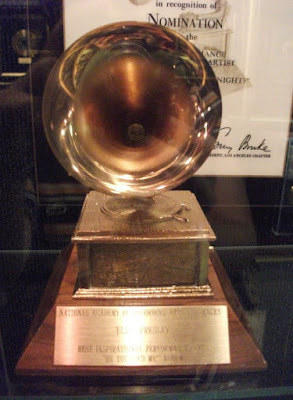 The racquetball area is also where Elvis spent his last few hours before his death and the location of where he played the piano and sang for the last time. The racquetball building is a multi level building. 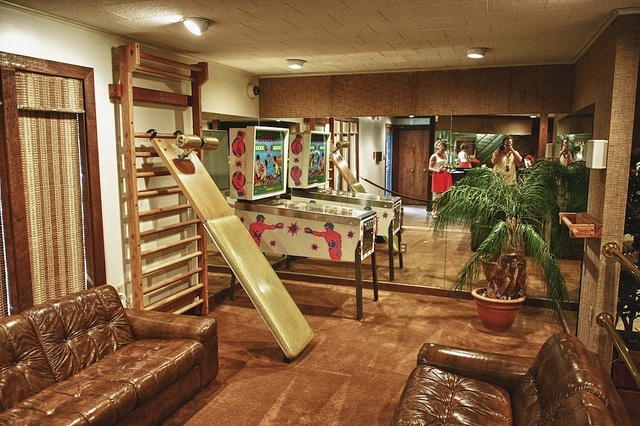 When you first walk in you are greeted with his workout equipment, couches and bar. Once you go down a few steps, you see the piano and more couches, passing through the doorway you enter the racquetball court. The colors of the racquetball area were all done in tans, browns and white to make you feel like you were part of a Gentlemen's Club. There is an upper floor to the building but it is off limits to the public. 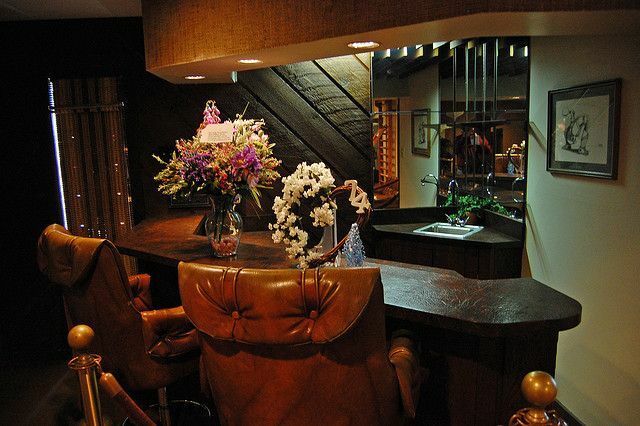 The stairs are located near the bar. 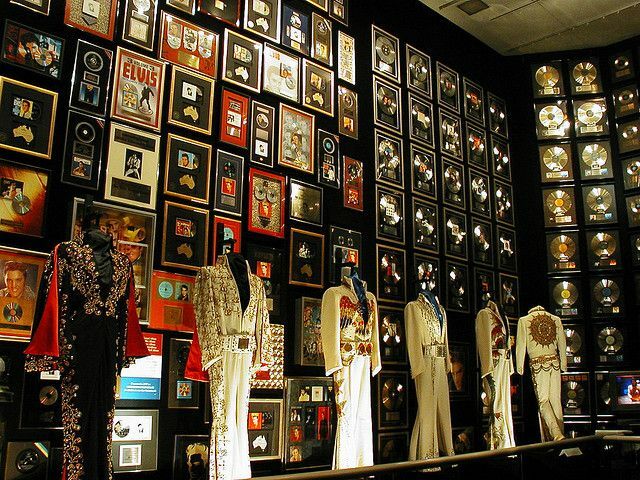 After Elvis' death, the Racquetball court was turned into a place that could house Elvis' records and feature several jumpsuits. The rest of the building remains unchanged and original back to the day that Elvis died. On the ipad tour you can see some photos of the upstairs. If you think that there's a lot of records in the racquetball court location then you are in for a shock! Other areas of the main house have been turned into a place to store and show off Elvis' achievements. In 1957, Elvis did major renovations on Graceland to create a two tiered patio. 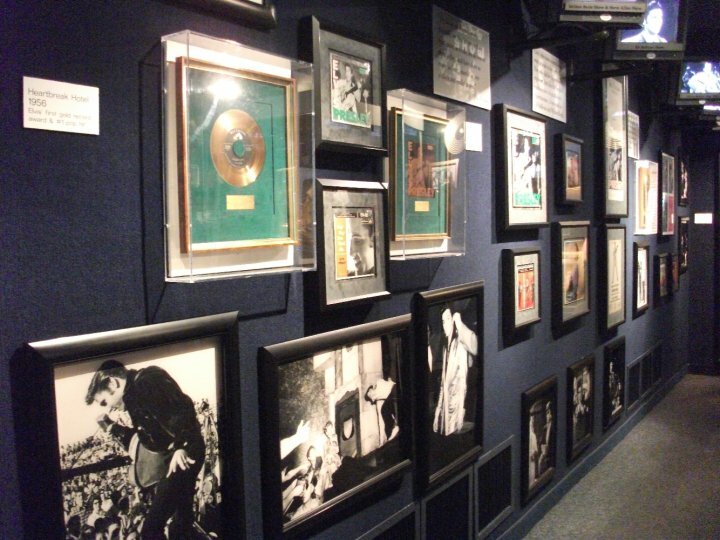 Then in the 1960s Elvis had the upper area enclosed and made it into a recreation area. At the time he used the area to house a large electric slot car track. Now that area shows off more of Elvis' accomplishments. It shows his life through photos, awards and houses his Grammy. 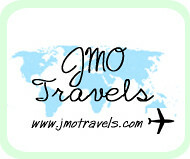 The Graceland Mansion is preserved in its original state except for these two areas. It also lets the world see a large part of the accomplishments he achieved in his life. Racquetball has always been so intimidating to me! I feel like I'm going to get my face smashed or something, but I guess you'd get good if you had a court at home! 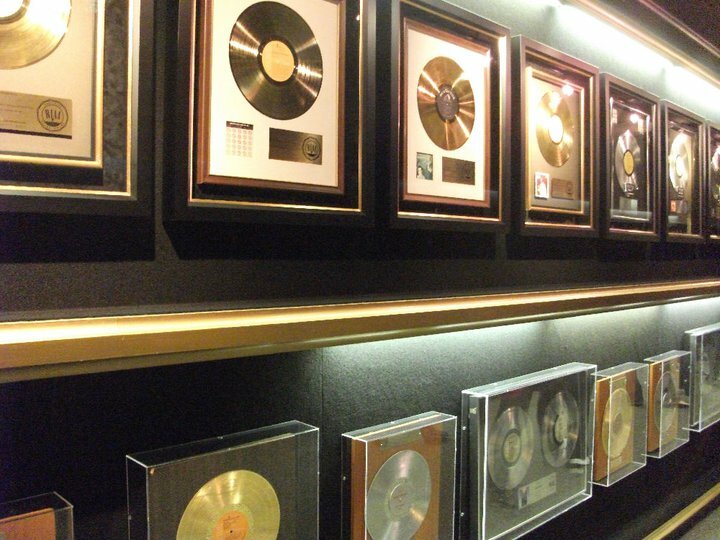 I see a lot of plaques from Australia. Clearly we loved his music. Clambake! Gonna Have A Clambake!